With all the controversy swirling about the possible relocation of the WHL's Kootenay Ice to Winnipeg, the last thing you'd think they need is more controversy. The fans have virtually stopped going to games in Cranbrook, and I don't blame them after having their local team taken from them. Having watched the Jets leave for the sandier horizons of Arizona, I certainly can empathize with those fans. Again, this is one team that seemingly needs less controversy, but they seemed to have kicked the hornet's nest once more today. Assistant coach and former NHL player Roman Vopat was dismissed by the team reportedly on Friday for his criticisms of Team Canada head coach Tim Hunter for decisions he made during the World Junior Championship. Vopat's image and description is no longer on the Ice's webpage, and it was reportedly removed as early as Friday before the Ice played in Medicine Hat against the Tigers. Yes, the part about "doesn't have the guts" might have crossed a line, but I would believe that Vopat has the experience to make the distinction about the pros and cons of calling out a player for not playing well versus calling out a player who certainly was caught embellishing some of his reactions in getting hit. As true as Vopat's words are in this tweet, his tweets on January 2 seemed to be the breaking point that caused the Ice to make the decision to relieve Vopat of his coaching duties. I understand that the Ice might be playing nice in order to curry favour with the CHL, WHL, and the Moose Jaw Warriors, but this seems a wee bit too convenient when it comes to being a legitimate reason to dismiss Vopat. Maybe I'm just beating the conspiracy theory drum here, but these tweets hardly seem like enough to warrant firing a guy. The team released the following statement today that read, "Roman was a part-time resource for our coaches on home game days and was released from his consulting agreement based in breaches of team policy, including our social media policy and his consulting agreement." If the Ice are indeed on the move and the owners and/or general manager of the Ice felt that Vopat wasn't the best man for this consulting job when it came to starting anew in a new city or simply felt he was no longer needed, firing him now due to these tweets is a convenient out for the team rather than looking for specifics for which they can terminate him. There were other tweets on his past that certainly could be considered worse than the ones above, so this seems like it was just a convenient way of letting Vopat go. There could be other reasons that aren't apparent to any of us outside the rink which would fall under that "team policy" portion of the statement, but you'd think that the team would have been quicker to release Vopat from the consulting job if he was violating policies as they stated. Again, I might be way off-base here (likely), but these tweets hardly seem like they'd warrant a termination. A suspension? A reprimand? Sure. But firing a guy? I can't see it. In any case, Vopat is now a free agent once again. 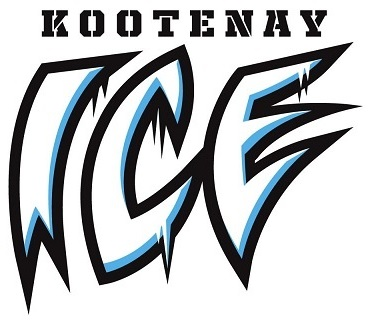 If the Kootenay Ice are moving, this is just one more move that seems out of step. I don't believe they'll hear a ton of negative response to this move due to their fans having mostly abandoned them already, but this just feels wrong based on the evidence above.